Done-in-a-Day Projects cover just about anything you can imagine. 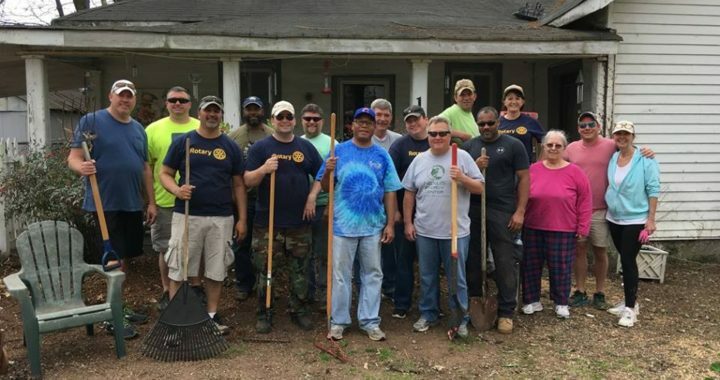 When we find a need, we find a day to put our “Service Above Self” motto to work. Past projects have included supporting a Wounded Warrior softball game, working with CASA to build a wheelchair ramp, collecting health and hygiene products for underprivileged children, and cleaning graffiti from Rainbow Mountain hiking trails. We never know who will grab a shovel, a hammer, or a skill saw. 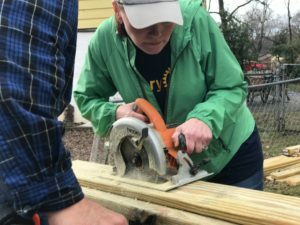 This is Rotarian Emily McIntosh helping to build a wheelchair ramp with CASA. In her other life, she’s a dentist. Maybe there’s a connection?? ?